• Gearing regional efforts towards mainstreaming and transforming the post-2015 development agenda. A key discussion point of RCC11 was that risk assessments ought to consider psychosocial and disability information. There was broad agreement on the need to enhance the production of risk information, including data-sharing and risk information sharing for improved mainstreaming. 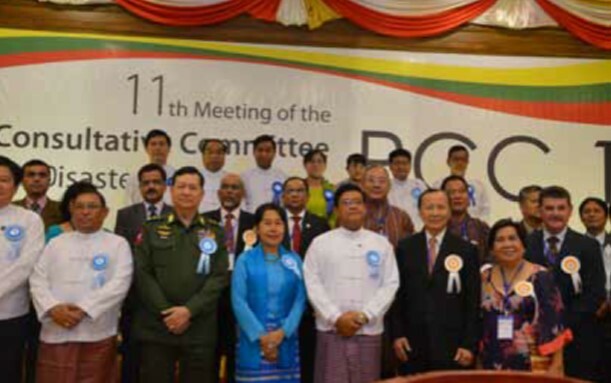 During the conference concerns were raised about how to separate budget lines for DRR. Pakistan was given as an example and discussed the importance of monitoring impacts and baseline information under the country’s Disaster Management Act which seeks coherence among provincial and district authorities. Reiteration of the importance of local knowledge was also given. The absence of land use planning in the DRR discourse was given as a concern. Participants also recognized the need for climate-smart DRR, which integrates CCA and DRR, through institutional mechanisms. There was general agreement expressed regarding the need for CCA and DRR concerns to be considered in future development agendas. Participants also recognized that DRR can enhance sustainable development in terms of institutional mechanisms and implementation. It was concluded that DRR is a fundamental element to enhance sustainability and resilience. ADPC suggested the introduction of a government body to provide definitive disaster data. There was a call for improved risk information sharing mechanisms and increased regional cooperation on this. The constraints of community level information providing information to policy-level actors were also discussed. The costs associated with mainstreaming should be recognized as savings against greater future losses due to disasters. Mainstreaming DRR into development should also include climate change adaptation.